"Pierre Yantorny is dead; an Italian bootmaker in Paris, the most expensive bootshop in the world. 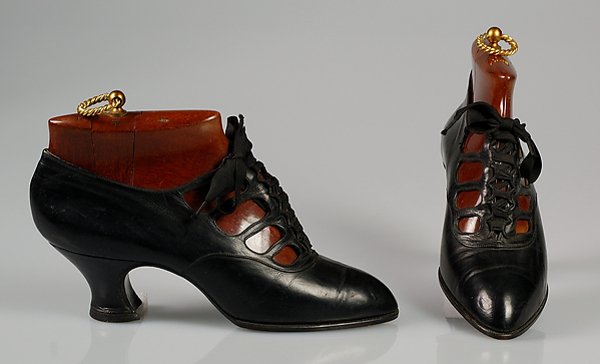 His lowest price for any pair of shoes was $300, and he would take no order for less than five pairs at a time. If a woman with pretty feet came, unable to pay the price, he might make her shoes for nothing; he was an Italian, Calabrese, in Paris. Yantorny went to school for six months in his ninth year, no other education, worked two years in an Italian macaroni factory from 6 in the morning to 6 at night for four cents a day, then learned the shoemaker's trade and really learned it"
When he died in 1936, the news of Pietro Yantorny’s death was reported more prominently in the American press than the French one. 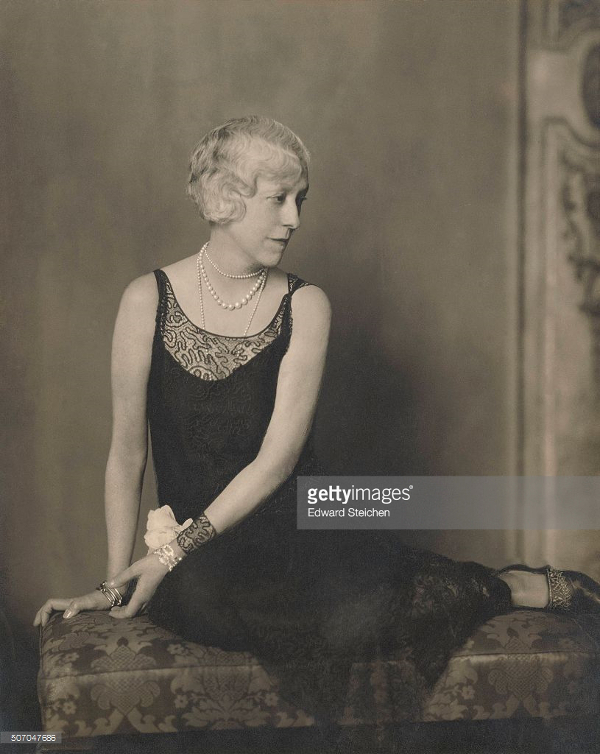 It comes as no surprise as the majority of his customers were the wealthy American ladies who used to come to Paris from time to time to get their most fashionable dresses at the Callot Soeurs, Jeanne Hallée, Maison Paquin, Doucet or Poiret. As for the shoes they could afford the entrance fee of “the most expensive bottier in the world”, Yantorny's self definition. 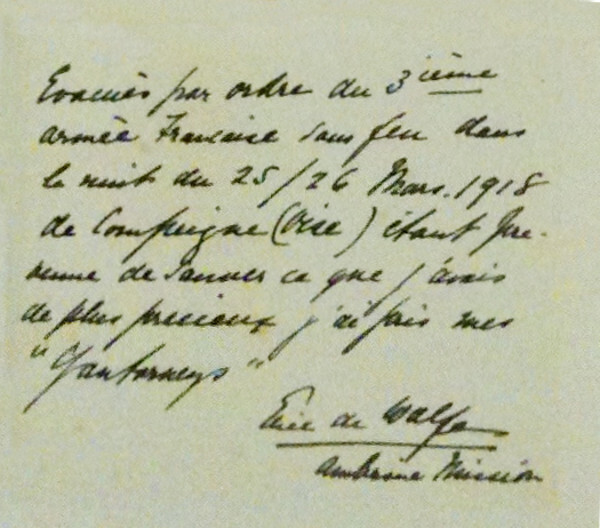 With the exception of the donation made by André Méunier, Yantorny’s grandson, to the Musée de la chaussure of Romans (Yantorny's personal collection with the diary, letters from customers and shoes), what remains of the distinguished production of the bottier comes from the wardrobe of these very affluent American women, and it is now a heritage preserved at major museums around the world. 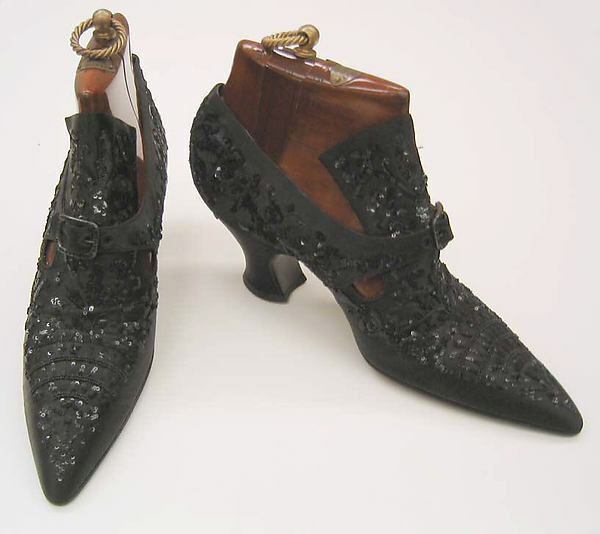 NY's Metropolitan Museum of Art owns several pair of shoes, thanks to a donation made in 1959 to the Brooklyn Museum by Mercedes de Acosta, the sister of Rita de Acosta Lydig (1880-1929), “a prominent New York socialite”, who commissioned several hundred pairs of shoes from Pietro Yantorny. 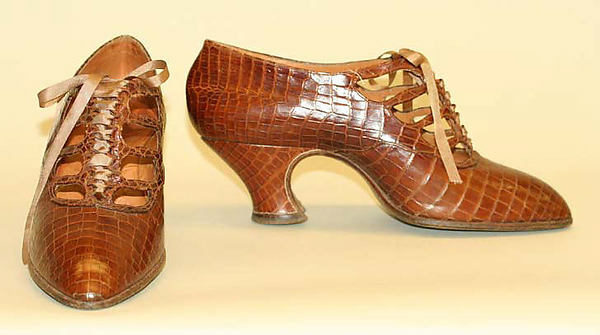 The Museum also hosts two trunks expressly made for Rita de Acosta Lydig, one of them coming through the collection of Capezio Inc. with models from the 1910s. 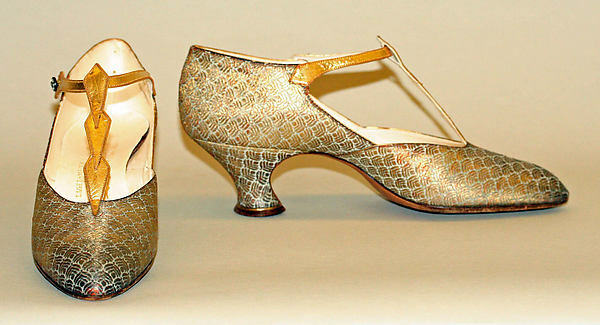 Some of the models were for daily use, others are “made of antique velvet, lace, damask, and embroidery, with their exaggerated Louis XV–style heels and pointed toes”. The same pointed toes style of the shoes worn by Rita de Acosta Lydig in the portrait by the Italian painter Giovanni Boldini. NY's Metropolitan owns thirteen models made by Yantorny in the 1920s for “Mrs. Edward G. Sparrow, (née Catherine D. Groth) of New York, whose husband's family had vast timber holdings in Lansing, Michigan.” One of them is the same model of another pair gift of Mrs. John E. Roosevelt, 1976. Other possessions of the museum came through the descendants of Mrs. Howard O. Sturges (models dating about 1913-14) and Mrs. John Scholz (three models from the Twenties). 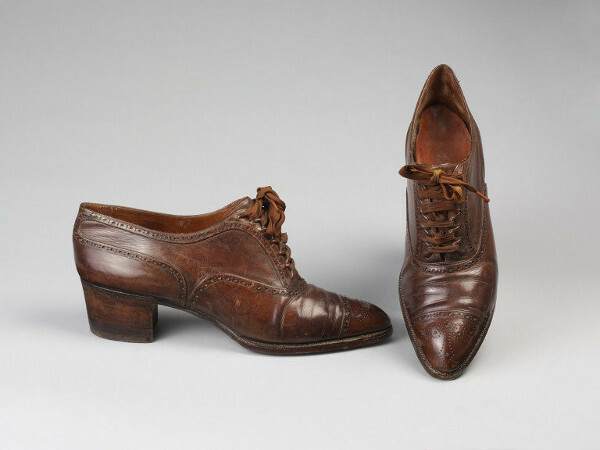 LA's LACMA museum hosts five models from the Twenties gift of Mrs. Helen Crocker Russell from San Francisco, the daughter of William Crocker, banker and patron/collector of the Impressionist painters. 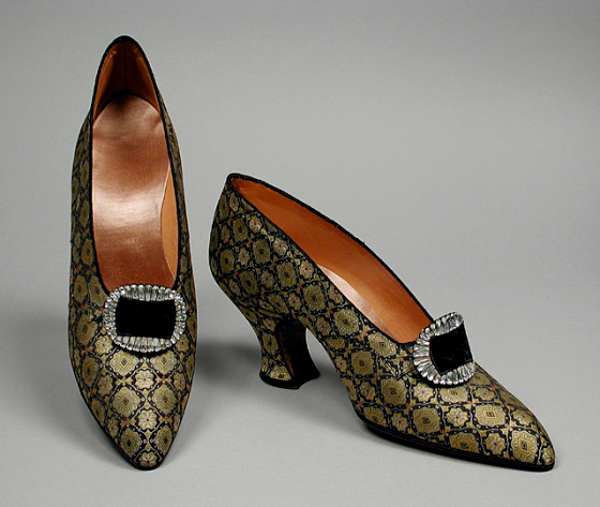 At the Victoria & Albert Museum there is a pair made for the interior designer Nancy Keene Perkins (1897-1994), daughter of a Virginia cotton broker, then wife of the entrepreneur Henry Field. 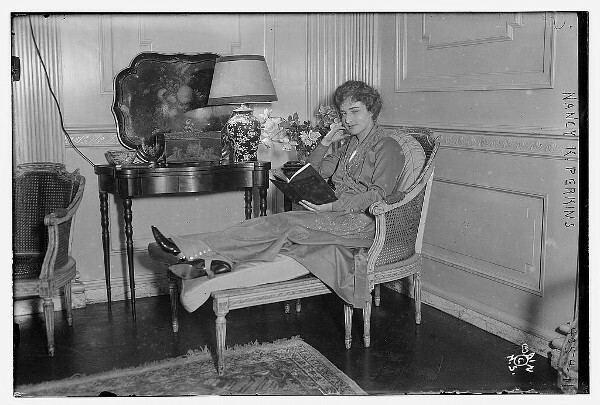 Another American customer was miss Elsie de Wolfe (then Mrs. Charles Mendl, an English diplomat in New York), decorated with the Legion of Honour and the Cross of war for her services in French hospitals and allies during the war. 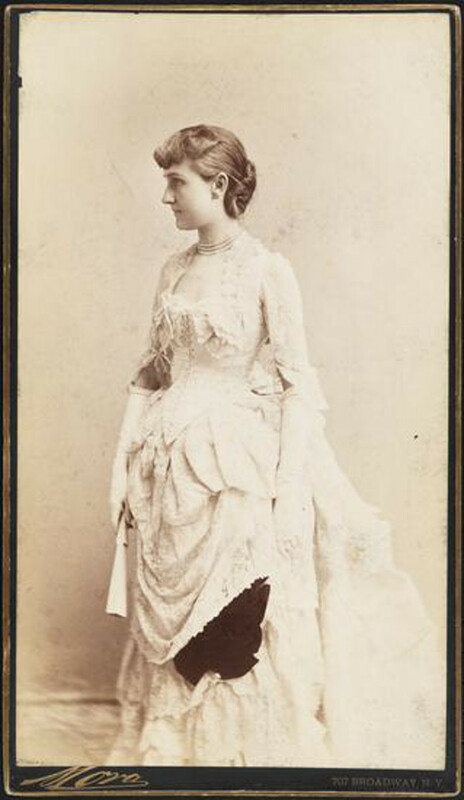 She was an actress, then a renowned interior designer with an anti-Victorian style, owner of Villa Trianon in Versailles. Years later, in 1935 Elsie de Wolfe was described by Paris experts as the best dressed woman in the world. 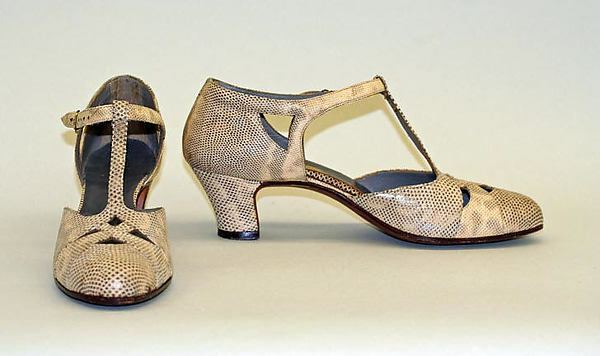 Yantorny kept a note from Elsie de Wolfe, where she described Yantorny shoes as the most precious thing she decided to save running away from the hospital in Compiègne where she was while the German troops were marching towards Paris in March 1918.